Introducing PRP "Platelet-Rich Plasma Therapy" for total skin rejuvenation! Dr. Laura Enfield, ND, L.Ac. PRP "Platelet Rich Plasma" Therapy is a treatment utilizing one’s own blood to stimulate epidermal repair and regeneration. PRP is a cutting edge technology for creating exponential collagen production and cellular growth (thickening) of the epidermis (outer layer of the skin) which translates into beautiful healthy, long lasting anti-aging. When we speak about anti-aging in reference to PRP, we mean, your skin has the accelerated ability to reduce lines, scars, discoloration, dryness and overall fatigue. PRP is an advanced treatment protocol designed to increase the function of the skin and repair mechanisms innately present in the regenerative area (epidermal junction) of the skin. PRP is the ONLY treatment at this time which does not cause harm to the skin while stimulating and promoting epidermal regeneration all without any side effects and virtually no down time. PRP is a mechanism employed by the utilization of one's own blood, processing it to concentrate the platelets, then applying it to the epidermis and injecting it into lines, wrinkles and the hollows of the eyes. PRP secretes various growth factors with roles in skin regeneration, it has been demonstrated that PRP induces the synthesis of collagen and other skin matrix components which produce collagen, thus, rejuvenating the skin. When PRP is handled and processed properly and administered with aseptic technique by a certified professional, PRP is completely safe. PRP is made from the client's own blood, thereby, virtually eliminating the possibility of adverse reactions. Who is administering the PRP? Peggy Humphries, licensed esthetician and Dr. Laura Enfield, ND L.Ac. (naturopathic doctor) will be processing and administering the PRP per certification standards. It is out utmost concern that we are trained in the most advanced techniques, up to date protocols and medical standards for the safety of our clients and maximum results. It is recommended to receive 3 to 6 treatments every 4-6 weeks to obtain maximum results for your anti-aging, repair, and regeneration desires. Your initial treatment includes not only the blood processing necessary to administer the PRP treatment, it also includes an important lab test. This lab test will tell us which minerals, vitamins, and antioxidants your body is lacking or showing low levels. With this information we will customize a Nutritional IV included in the cost of your next two treatments to help optimize these essential nutrients to assist in the regeneration process for greater results. If more than 3 treatments are necessary, we will re-test and customize once again according to the newest results. In order to prolong youthful skin, those whose skin is healthy and want to maintain youthful skin can utilize this treatment a minimum of once per year. This will ensure maximum levels of collagen production and optimal essential nutrients for the health and innate function of the skin for extended anti-aging ability. Nutritional IV Therapy is the process of replacing missing or low levels of essential minerals, vitamins, and antioxidants. We infuse the body through IV therapy the most pure and assimilable forms of essential minerals, vitamins and antioxidants. 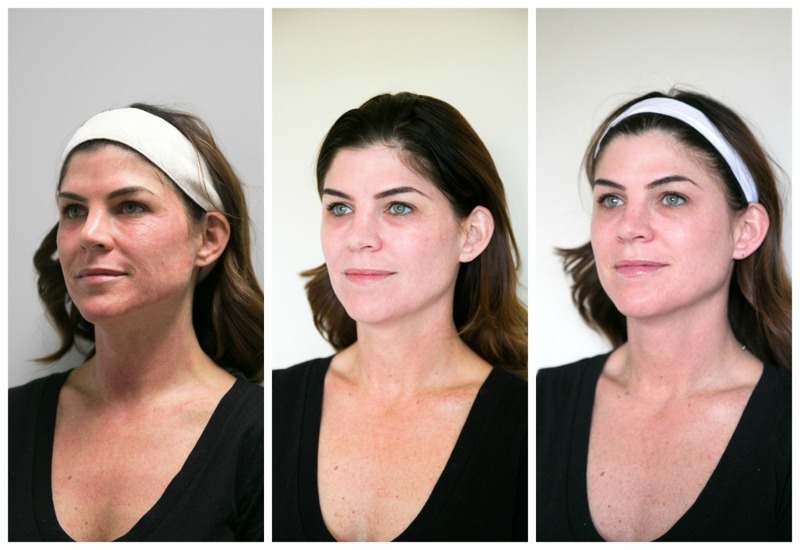 This procedure optimizes the body’s innate ability to repair and regenerate the skin by replacing lost or low levels of essential nutrients caused by dietary, lifestyle, or environmental factors. Can I continue with IV nutrition when I finish my PRP treatments? Yes, in fact, it is recommended to continue with IV Nutritional Therapy once the PRP treatments are complete to continue to optimize the skins ability to repair and regenerate. In example, collagen production is dependent on Vitamin C, therefore, a low level of Vitamin C could inhibit the production of collagen. Collagen is responsible for the youthful look of our skin and facial features. One reason we think young people look so great is because they have optimal levels of collagen giving them the youthful appearance we so desire. PRP is a wonderful, effective treatment to support the health of your skin as well as repairing and regenerating lost collagen associated with youthful skin. PRP is safe and minimally invasive, it takes the place of invasive procedures such as; face-lifts, laser resurfacing, deep chemical peels. PRP is an advance regenerative treatment everyone can utilize to achieve beautiful, healthy, younger skin!